It's nice to see something new for a change. 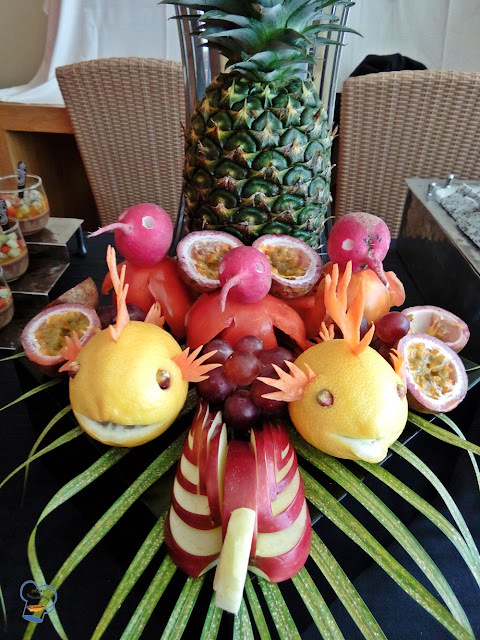 This Sunday past, the cold kitchen staff turned the fruit and vegetables into animal sculptures. 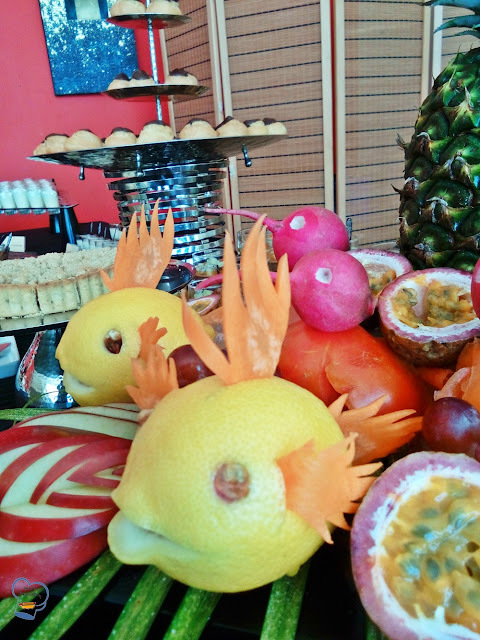 The rather unusual fruit and vegetable display has captured the hearts of our guests once again. For the fishes, the staff used lemon for the body. He then carved the mouth on one end of the fruit. Pistachio served as the eyes and carved carrots as the fins. 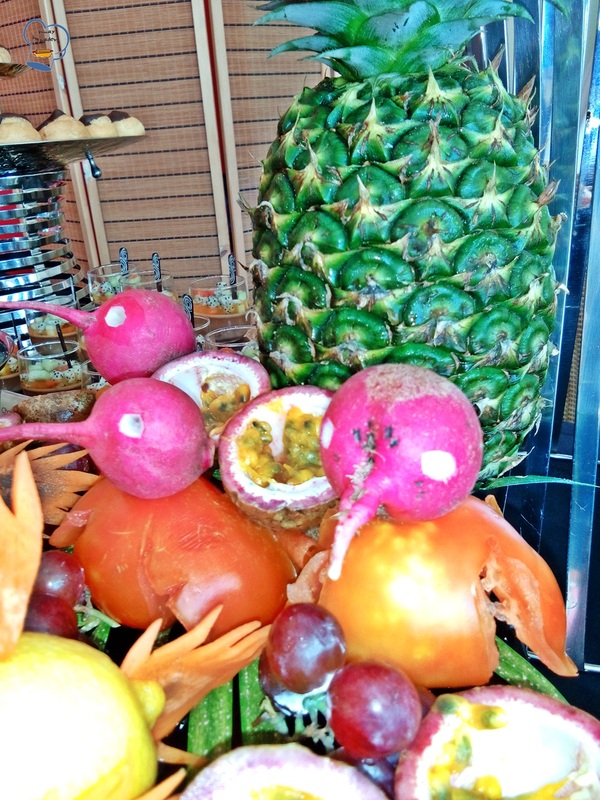 To create the birdies, he used big tomatoes for the bodies and red radish for the heads. 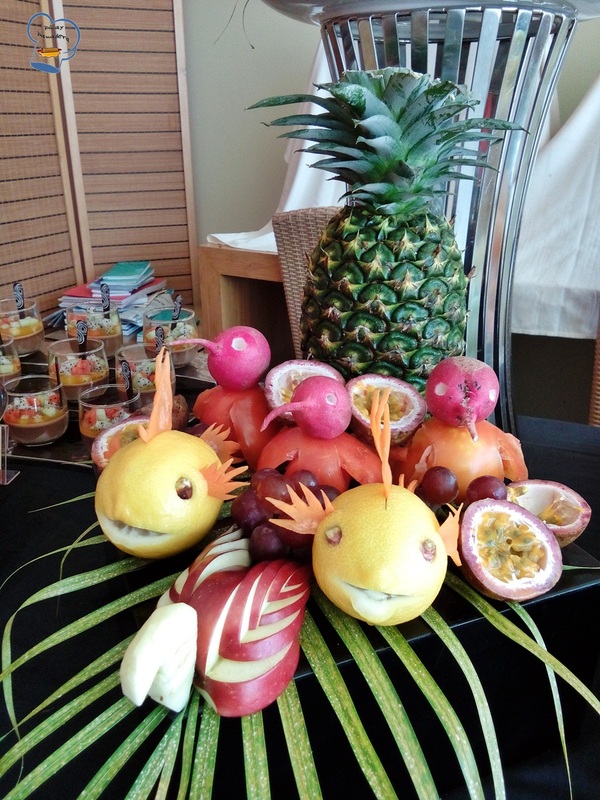 He also made swan using apple wedges. I didn't see how he put them all together. Is there anything cuter than this? Seeing all these cute animal sculptures inspires me to expand my skills. If only I had extra time.